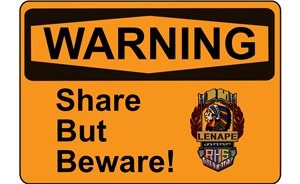 The mission of the Lenape Regional High School Cyber-Safety Coalition is to inform our students, parents and stakeholders about the importance of being a responsible and safe online citizen who can excel in this growing fast paced, digitally connected community. To the left you will find useful news and links to help you keep your child safe either online or when using their mobile devices or tablets. Our goal here in the Lenape Regional High School District is to teach your child techniques and strategies so that they may stay as safe as possible online.